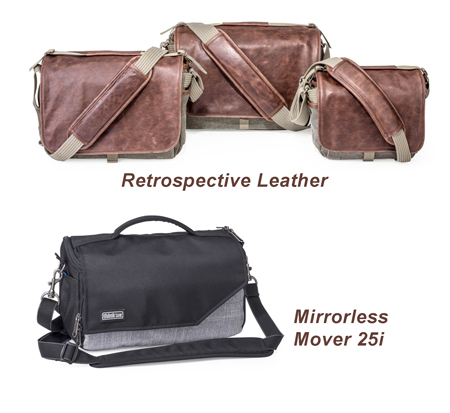 Our friends at Think Tank Photo have released leather versions of their most popular shoulder bag line and added a new size to their mirrorless bag line. The new shoulder bag line includes the Retrospective 5 Leather, Retrospective 7 Leather, and Retrospective 30 Leather. These upscale, rugged bags maintain the Retrospective?s casual, form-fitting design. A new Dual Cross buckle on the front flap provides an extra measure of security. The leather bags are designed to hold tablets and laptops in dedicated zipper pockets. The Retrospective Leather 5 holds an 8? tablet; the Retrospective Leather 7 holds a 10? tablet or 11? laptop; and, the Retrospective Leather 30 holds a 10? tablet or 11? laptop. The new Mirrorless Mover 25i fits one medium to large mirrorless body, plus two to four lenses, an 8'' tablet, and additional accessories. The Mirrorless Mover collection is made with only premium-quality materials and the outstanding craftsmanship that Think Tank is known for. It also features metal hardware, high quality fabrics, YKK zippers and a magnetic closure. Check the Think Tank Photo backpacks site using this link for your Nikonians member exclusive special offer. 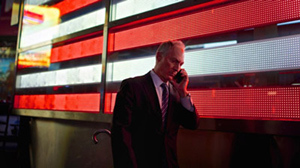 Join award-winning street photographer Steve Simon for an unforgettable week of living and breathing photography in one of the world's most visual cities, New York. This special edition of his Passionate Photographer Workshop runs from Thursday, October 8 to Tuesday, October 13th. 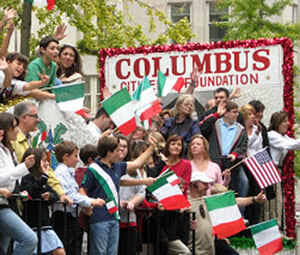 We are excited to announce Steve has negotiated special access to the Columbus Day Parade for workshop participants. This annual televised event has more than 35,000 participants marching down 5th Avenue between 44th and 79th streets with more than 500,000 spectators cheering along the route of this colorful and meaningful photo opportunity. Steve has secured press passes from the parade organizers so we can shoot along the parade route strictly secured by the NNew York Police Department, and not on the sidewalks behind the barricades where spectators line-up. These city-authorized press credentials mean we can walk and shoot along the parade route for the best images; not confined to the packed sidewalks behind barricades. We will explore the vibrant, visually rich places and neighborhoods New York is famous for and New Yorker Steve will take you to some hidden gems. Locations may include: Times Square, High Line Park, Harlem, Fifth Avenue & 57 Street, Brooklyn Bridge, Chinatown, Little Italy and the Lower East Side, Union Square, Washington Square Park, Queens, Coney Island and other parts of Brooklyn. 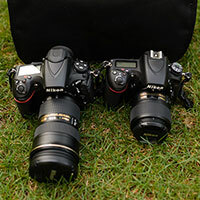 The Passionate Photographer Workshop is usually a 2-day event. This is a unique opportunity for a 6-day full-immersion class on Street Photography with an award-winning street photographer who also happens to be great teacher. This intimate six-day masterclass (limited to ten students) will take you on a visual treasure hunt to some of the most interesting and exciting locations in the Big Apple. Nikonians Academy Director Mike Hagen has added travel workshops to Sri Lanka and the Czech Republic/Prague for the coming year. 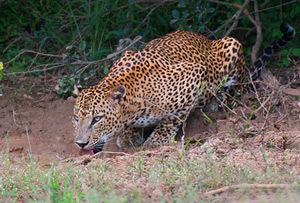 The 12-day (11-night) Sri Lanka: Culture and Wildlife photo adventure covers March 12-23, 2016 and is limited to 12 participants. 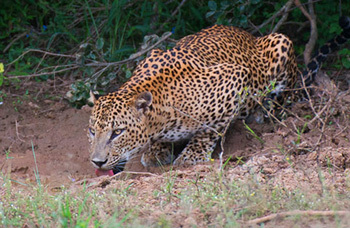 This will be your opportunity to photograph wildlife and culture in an exotic and safe location, led by Lester Picker. Each morning you will embark on an adventure taking you from fog-shrouded tea plantations to cascading waterfalls, en route to photographing mountain sunsets. You will visit the country's most picturesque temples and historical structures for architectural photos and opportunities to interact with Sri Lanka's wonderful people. 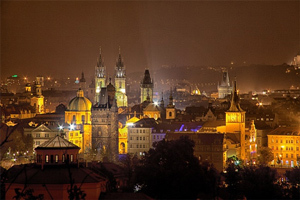 The Czech Republic and Prague trip will be led by Mike Hagen and is scheduled for October 9-16, 2016. It is designed to coincide with fall colors that will provide a stunning backdrop to the castles, mountains, and forests of Bohemia. You will have the opportunity to explore a large variety of photographic themes, including landscape, countryside, castles and chateaus, colonnades, rural houses and forest animals. Add four-star hotel accommodations and a scheduled boat ride and you have the makings of a photo adventure in the best Nikonians Academy style. This 8-day photo adventure to the best of Bohemia will cover historic sites as well as modern marvels such as one of the youngest of national parks in the Czech Republic. Looking to enhance your photo library? 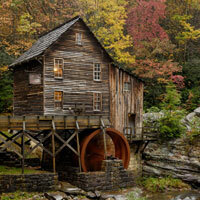 Check out The Passionate Photographer: Ten Steps Toward Becoming Great. Steve has led workshops all over the world, including Mentor Series, Macworld, PhotoPlus Expo and Gulf Photo Plus in Dubai. 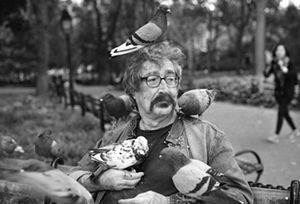 He is the author of four critically acclaimed photography books with works in major museum collections around the world. Steve Simon's book, The Passionate Photographer is a top-seller and continues to garner awards from the photography industry. Nikonians Academy Director Mike Hagen is preparing for his 2015 Galapagos photo adventure in a few days. On the way out the door he stopped to double check the curriculum for the coming months and left us with a few reminders to pass on. The spotlight this week is on the Spring 2016 Annual Nikonians Photography Adventure Trip (16th Spring ANPAT). 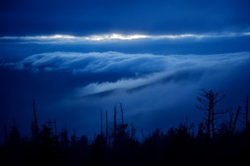 It will run from April 16 to April 23, 2016 in the Pacific Coast, Northern California and Southern Oregon. Join Nikonians founders Bo Stahlbrandt (bgs) and J. Ramon Palacios (jrp), with ANPAT Leader Eric Bowles (ericbowles), in this target-rich region for splendid photography opportunities. 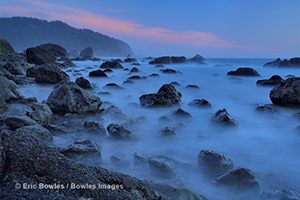 This unique location is known for massive redwood trees, sea stacks, scenic fishing villages and wonderful coastal scenes, and it will be the first time a Nikonians ANPAT has visited these areas. The ANPAT has become our traditional field event of the year, where we all become students and teachers to live our Nikonians motto: Share, Learn, Inspire. This is a great way to hone your skills as a photographer, make true friends and have a great time. Keep up on the planning stages (and ask any questions you may have) by following the Announcement and Discussion. ● The Eastern Sierra and Owens Valley trip explores landscapes and astrophotography in some of California's most beautiful environments. 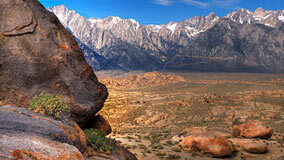 Capture the vibrancy of the Eastern Sierra (September 24-27, 2015) during shooting sessions throughout the day interspersed with extensive specialized instruction in landscape photography. This workshop focuses not only on the 'where' to take the pictures, but also on the 'how' to take pictures, incorporating photographic education throughout the workshop at each location, building on the previous locations techniques and lessons to culminate in a comprehensive lesson in composition, modified exposure, light controls, and High Dynamic Range (HDR) photography to name just a few. ● The Zen of Thinking (beginning October 2, 2015) is an advanced photography workshop designed to get you out of your comfort zone (only one seat remaining). This two-day course is limited to five students to ensure an intimate environment, fostering the best learning opportunities possible at Yosemite National Park. The course curriculum includes lecture presentations, one-on-one instruction and critiques, on-site visual approach demos and analysis, and evaluative assessments of each photographer?s strengths, weakness, gear mindset, and areas for growth and development. ● Black and White Infrared Photography is designed to help photographers learn how to shoot and process compelling IR imagery. Learn infrared black and white photography in beautiful Yosemite Valley. 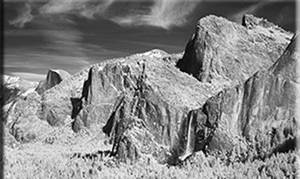 This three-day course (November 6-8, 2015) is an intensive study of the complete digital and analog technique and process of the black & white infrared photography medium. You will be examining the technical visual aspects of the infrared spectrum, photographic principles in the field, post-production techniques and the proper steps to ?create? a dynamic infrared (IR) photograph. The 2016 schedule for international travel has been posted. Check the Nikonians Academy ?By City Area? pages for information on journeys spanning the globe to Sri Lanka, Iceland, Galapagos, Prague and Tanzania. ● Sri Lanka - Limited to 12 participants, this is a 12-day (11-night) exploration of what some have called ?the most beautiful island in Asia.? Your leader will be Lester Picker. Dates: March 12-23, 2016. ● Galapagos - This photo trip of a lifetime takes you on a custom expedition yacht to one of Earth's most treasured locations. 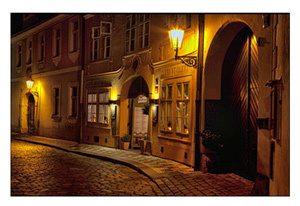 ● Prague - Mike Hagen calls this "The Best of Bohemia in 8-Days." Mike will again partner with Tim Vollmer and the pair will guide you through a huge variety of photography themes. Trip dates are October 9 - 16, 2016. ● Tanzania - You will be photographing the Serengeti, Ngorongoro Crater, Lake Manyara, Tarangire and at private luxury tent camps throughout Northern Tanzania. Your leader, Mike Hagen, has extensive experience in this region. Trip dates are November 4 - 15, 2016. 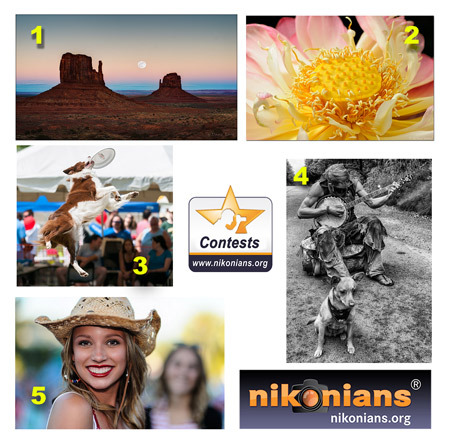 Nikonians Contest Coordinator David Summers (dm1dave) has posted the results of the July contests. Congratulations to our winners! Two of the outstanding images submitted in July feature canine involvement. Each photo title serves as a link, which will lead you to explanations behind some of the photographs and an overall look at the competition in that category. 1. July Landscape "Shoot the Moon" theme winner Dayn Cederstrom (DaynLarz), from Missouri, USA, with his image titled Moonrise Between the Twin Mittens. 2. July Macro "Parts of a single flower" theme winner Richard Dubiel (Dubes), from Ontario, Canada with his image titled Lotus Flower. 3. July Sports "Four Legged Champions" theme winner Bob Chadwick (Bob Chadwick), from Georgia, USA with his image titled Woofstock. 4. July Travel "Street Life" theme winner Russell Whittemore (rosewood_ltd), from Ohio, USA with his image titled A Hard Road - Highway 101, Oregon. 5. July "Bokeh" Assignment winner Gregg Heckler (gheck58), from California, USA with his image titled Yee Haw! Looking at the curriculum in the coming months, Nikonians Academy Director Mike Hagen tells us the operative words found most often are "Sold Out." The sold out workshops include photo adventures to Acadia National Park in Maine, 15th ANPAT Fall in The Badlands, Grand Teton Wildlife and Landscapes, and Galapagos 2015. ● Galapagos ? This photo trip of a lifetime takes you on a custom expedition yacht to one of Earth's most treasured locations. ● Prague ? Mike Hagen calls this ?The Best of Bohemia in 8-Days.? Mike will again partner with Tim Vollmer and the pair will guide you through a huge variety of photography themes. Trip dates are October 9 ? 16, 2016. ● Tanzania ? You will be photographing the Serengeti, Ngorongoro Crater, Lake Manyara, Tarangire and at private luxury tent camps throughout Northern Tanzania. Your leader, Mike Hagen, has extensive experience in this region. Trip dates are November 4 ? 15, 2016.